His quest for rupees is over, his quest for love begins! The last two editions of weekly Japanese magazine Famitsu had mysterious teasers hinting at a sequel to 2006/2007's Freshly-Picked Tingle's Rosy Rupeeland for the DS. This week's edition has finally spilled the beans! Today just so happens to be the day of Japan's weekly Wii and DSi update - And from out of nowhere, Nintendo has released Too Good to be True: Tingle Pack, a set of 6 Tingle-themed applications, on DSiWare! It apparently includes a calculator - That alone makes the previous calculator apps even more pointless! For 500 DSi Points it seems like quite a good deal if you'd like to have some applications on your DSi. What's much bigger news however is that Tingle is in fact also getting a sequel to his previous DS game. Seemingly similar in gameplay style, Color-Changing Tingle's Balloon Trip of Love has gone for a 3D look while keeping 2D characters and apparently seems to be about Tingle's search for a wife - After all, he's 35 and still single! Judging by the Famitsu scans we can expect the game to be even crazier than the first. The Japanese release date is, for now, unknown, but if we had to make a guess we'd say it's coming out at the start of next year. The first one was ace! I wonder why those pages weren't scanned instead of photographed. i lol'd at the first photo. The US hates Tingle apparently, so no Tingle game for you! Quest for a "wife." Yes, Tingle, whatever. At the end of the game I guess we can all ignore the fact that the "wife" you've chosen has a full beard and mustache. "Color Changing: Tingle's Balloon Trip of Love"
"Too Good to Be True: Tingle Pack"
I'd still love to know what the results were of that survey Nintendo did regarding a possible US Tingle release. I wonder how many people voted against it. It must have been pretty bad for them to not even bother releasing the game here in the US. Oh no,you have got to be kidding! TINGLE APPS!? This must be a nightmare,somebody wake me up! I bet these aren't releasing here in the US. Tingle's Balloon Trip of Love? Perhaps rather than an app it's an abbreviated version of Tingle's Balloon Fight? The apps may be okay, depending what they are. It'll also make the other apps useless, and maybe Nintendo would change them to free (nah ,probably not ). I believe you are misunderstanding Tingle's psychological identity. He does not seem to be gay in the sense you imply, such that he would be interested in marrying a "full beard" ie. a grown man; instead, he is presented as that type of personality that is fixated on childhood, and stuck in some sort of unbreakable attachment to the imagery and activities of that age. He's unlikely to end up in a gay couple, and instead much more likely to end up a bit like Michael Jackson (or like Johnny Depp's version of Wonka, a less overtly perverse version of the same kind of character), ie., spending far too much time with the forest children dressing up and talking about faeries, and, if his psychological issues run deep enough into sexual territory, perhaps even bordering dangerously on pedophilia, but let's hope not, for he's a Nintendo character and should be more endearingly eccentric than perverse. Now, your comment was certainly in jest, as is, to a large extent, my rumination on the subject of his psychological problems, however: I've had several gay friends before who would object sharply to any blurring of the lines between homosexuality and more pedophiliac sexual identities, as that mistake is made far too often already (cf. the worry over gay priests after the Catholic abuse scandal, when in fact they were more likely to be 'straight,' albeit with pedo. tendencies). I believe Tingle is more of a representation of "peter pan syndrome" than of a gay man. However, I could be wrong. Isn't this a fun topic for a video game board? 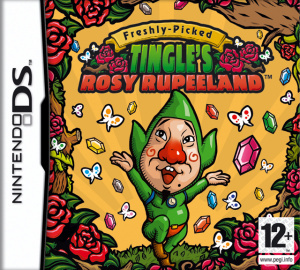 In Rosy Rupeeland Tingle was just a regular 35 year old virgin, he got the suit from Grandpa Rupee when he started on his quest for big money and profit. What I hope is that the sequel will use full touchscreen controls because the dpad plus touchscreen scheme was tiring on the arms. Also for newcomers a tutorial on haggling could help, one that sets out to give you a feel for the values involved. I developed one after a few areas but before that I tended to miss out on money. If I had given any more thought to it, you're right, I would have seen Tingle as more of a Gary Glitter than a Harvey Fierstein. Having admitted to that, I'm very grateful that I didn't give it any more thought. Interesting, I only know him from the main-series Zelda games, where he's clearly presented in a different light. In MM, for instance, where you first see him, he says something about waiting for his fairy to come to him, and that his father keeps telling him to get a job and stop dressing up like a Kokiri, or something along those lines. Then he prances around and presents his corny 'kooloo-limpah' phrase. Guess its time to think about importing the first one. Anyone who's completed the first game knows the truth behind what a "Tingle" is and despite Warioswoods valid points about his sexuality it has nothing to do with being fixated on childhood. The first game was a fantastically dark satire on greed and avarice and I have high hopes for the story of the second game. I'm liking it already. Tingle always creeped me out, but this just looks hilarious! Yes, it does appear that they changed his story for the DS game, which I haven't played, but, like many things in Zelda, that's in contradiction to his earlier presentation, most notably in Majora's Mask, where nearly his every line contains a not-so-subtle joke about his "peter pan syndrome," and where he is not the Wario-like antihero of greed so much as he is a side amusement. "he prances around and presents his corny 'kooloo-limpah' phrase." Those are Tingle's magic words, which he created himself! Don't steal them!!!! It should be okay, though, as the magic probably doesn't work without the first syllables that I truncated, nor does it work if you don't spin in a circle wearing a green jumpsuit... I only completed one of those two requirements while typing. Man, now there's TWO titles I probably won't be able to buy here! At least the retail one might hit Europe again, I hope, but the DSiWare is probably forfeit. Which is a real shame to me, as it's probably the one DSiWare App download I'd find worthwhile. 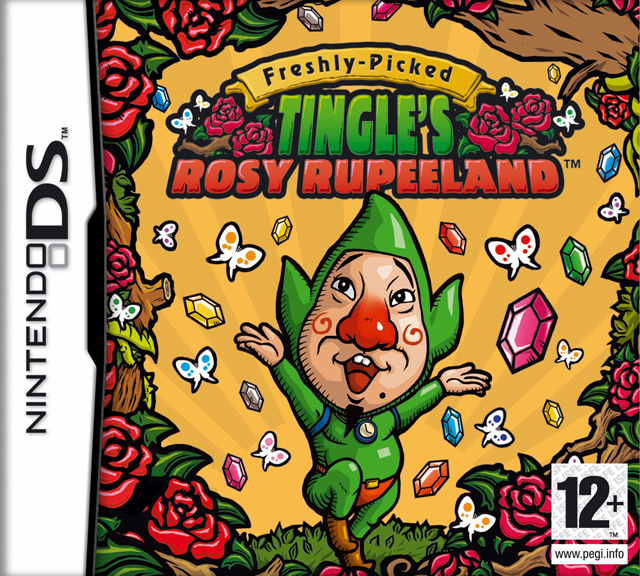 I just imported Freshly-Picked Tingle's Rosy Rupeeland and its really a great game! I would highly recommend finding a copy of this game! It's definitely worth it! I can't wait for this sequel! I just hope that they will release this one in the US! Sorry, guys, I gotta sit this one out! Man, I shouldn't have played Star Fox 64 again. I'm going to be quoting it for at least a week. What does the DSiware game include?